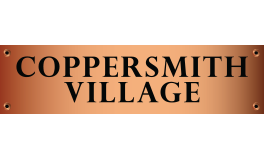 Coppersmith Village, at the Maverick/Central Square triangle of East Boston, offers a mixed-income; mixed use community of fifty-six apartment homes - a blend of one, two and three bedroom layouts. Adding so much more to these exceptional living spaces, amenities include covered and on-site parking available and private balconies with adjacent harbor and city skyline views. Enjoy all the best East Boston has to offer with fine restaurants, the best coffee shops, cafes and recreational activities. This transit-oriented community, so close to Maverick "T" station is also just a short water taxi ride from downtown Boston and Logan Airport. The mixed-income lottery was conducted - View the lottery results.